To allow smooth and painless motion of the knee joint, the articular surfaces of these bones are covered with a shiny white slippery articular cartilage. Two C-shaped cartilaginous menisci are located in between the articular surfaces of the femur and tibia. The menisci act as shock absorbers providing a cushioning effect to the joints. Menisci also play an important role in providing stability and in load bearing. Bands of tissue, the capsule, and the cruciate and collateral ligaments, keep the different bones of the knee joint together and provide stability to the joint. Surrounding muscles are connected to the knee bones by tendons. This ligamentous capsule is lined with a synovial membrane that secretes synovial fluid for lubrication. 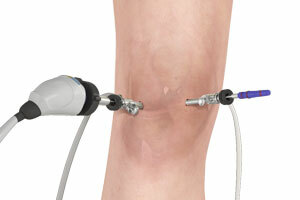 Knee arthroscopy is performed under local, spinal, or general anaesthesia. 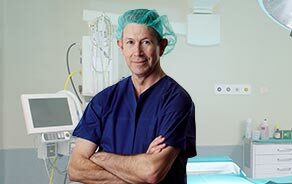 Your anesthetist will decide the best method for you depending on your age and health. Most patients are discharged the same day after knee arthroscopy. Recovery after the surgery depends on the type of repair procedure performed. Recovery from simple procedures is often fast. However, recovery from complicated procedures take a little longer.